Correspondence from Nepal - Walk Along e.V. 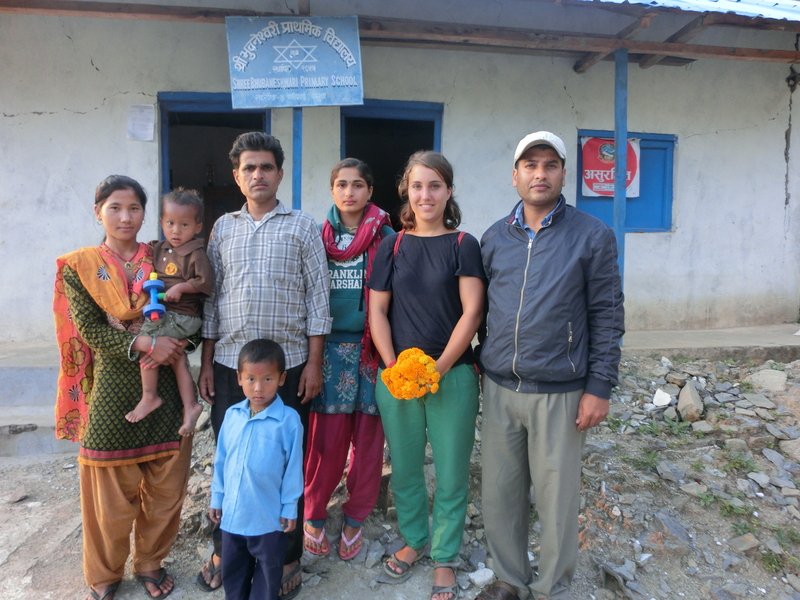 In this cover letter we would like to report the latest state of our school reconstruction project in Karmidanda, Johanna is on site to work together with the villagers and to ensure that the donation money will be used in a sensible and transparent way. The buildings of the Secondary School are partly destroyed or entirely collapsed. Temporary shelters made of corrugated iron are an impertinence for a healthy lesson: in the sun too hot, in the rain too loud and by no means sound. The school needs 11 classrooms, 2 teacher’s rooms, 1 toilet and 1 bookshop. 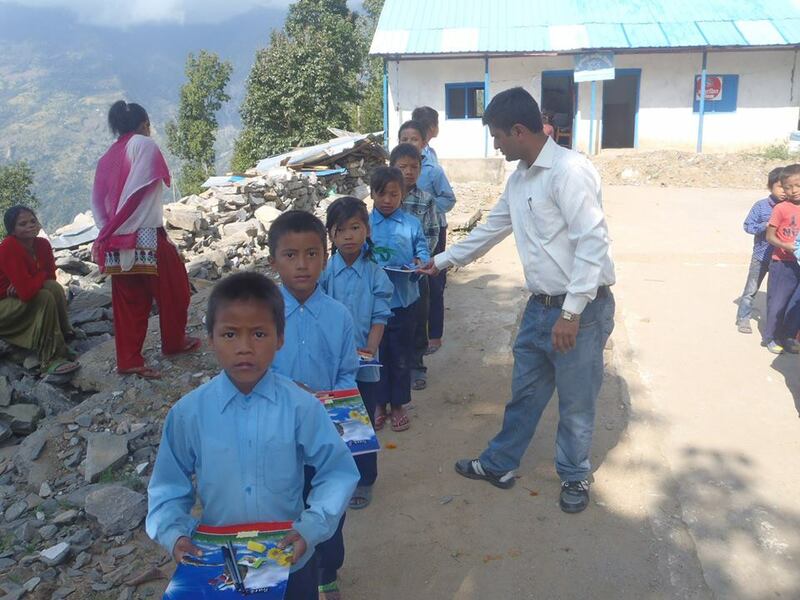 So far, the central government cannot afford to support more schools monetarily. For reconstruction, it requires state approval and compliance with an earthquake-proof construction plan laid down by the state. After a meeting with the director of Sec. 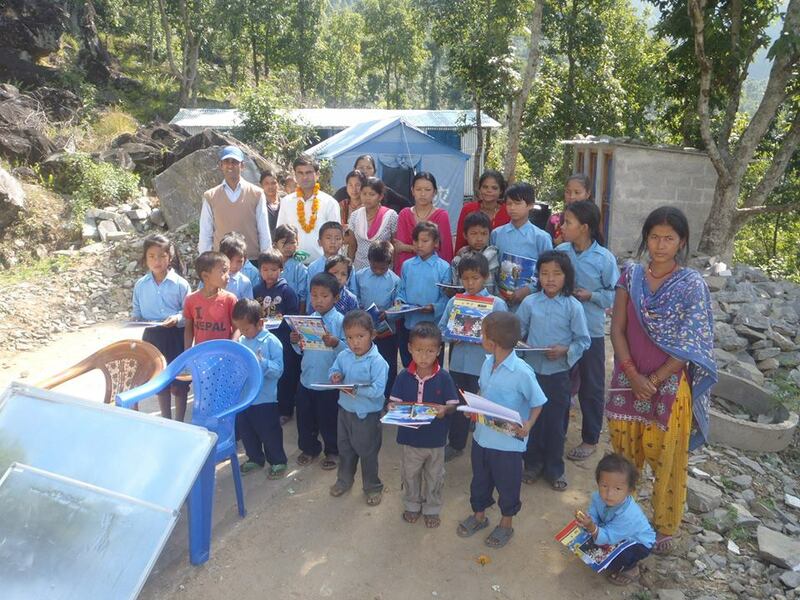 School, the District Education Officer and the responsible engineer, we can say that with our donations of 19,000 euros, we can build two classrooms with earthquake resistance. The next steps will include the detailed elaboration of the construction plan, transparent material procurement and the implementation of reconstruction. At the moment, however, we need to wait for construction plans and further information from the Department of Education to be completed in November. We hope to be able to complete the lengthy bureaucracy section at the end of November. Our goal is to complete the restoration of the buildings at the beginning of the new school year in April. 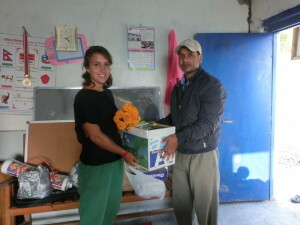 In addition to Secondary School, we would like to support the primary school of the village with around 600 euros. Furthermore we have built up tables, dictionaries, and learning tables. With reference to the general actual situation of Karmidanda: The largest part of the village was destroyed during the earthquake. Families live in makeshift corrugated huts: sleeping camps, eating houses and living space in one. The State-promised, monetized aid of $ 2000 has so far been waited in vain. The construction of an earthquake-proof house is, however, estimated at around $ 8000. Many people, living from their own agriculture, cannot afford it.